Congratulations to some of our Texas Karate legends on their promotions: Phil Wilemon to 8th Dan, Joe Gillum to 7th Dan, and Dwayne (Rooster) Machen to 7th Dan, Eric Loveless to 6th Dan, David Vines to 6th Dan, Carl Whitaker to 6th Dan. See more photos at the gallery pages. 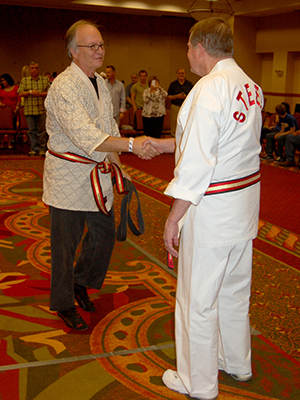 Two very special promotions were also presented by AKBBA founder Allen R. Steen; Grandmaster Richard Jenkins to 10th Dan and Grandmaster Charles Bouton to 10th Dan. In addition, Grandmaster Linda Denley was inducted into the Karate Masters Martial Art Hall of Fame by Grandmaster Keith D. Yates who serves not only as our AKBBA High Dan Board Chairman but is also the Vice Chairman of the KMHOF. It was an exciting evening for everyone. 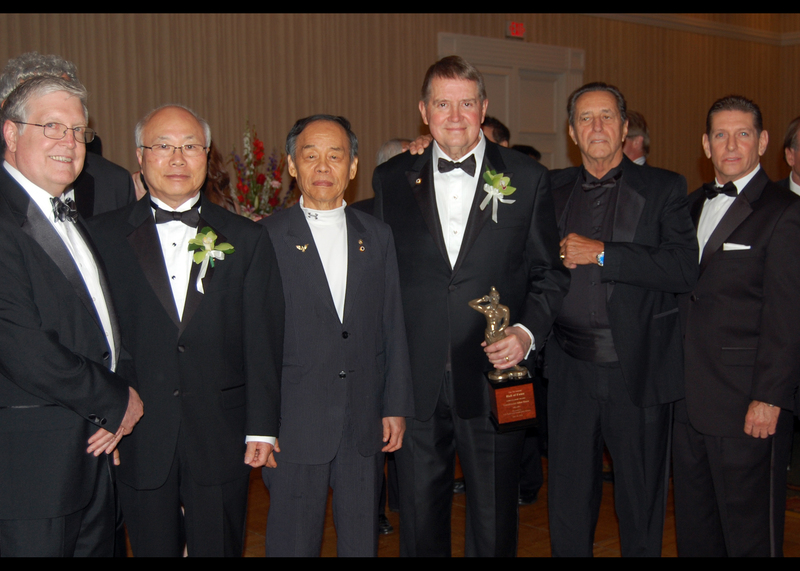 April 14, 2012 AKBBA High Dan Board Chairman Keith D. Yates, GM Won Chik Park, GM Jhoon Rhee, GM Allen Steen, GM Pat Burleson, and HDB Vice Chairman Steve Selby, at the induction of Mr. Steen into the Hall of Fame of the U.S. Taekwondo Grandmasters Society. See more photos on the gallery page. 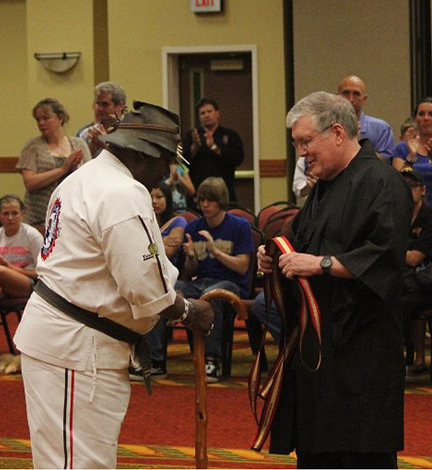 As we have done for the last two years, the AKBBA/CSHK will be conducting a higher-degree black belt promotion ceremony on Friday, June 22, the evening before the big United States Karate Championships at the Mesquite, Texas convention center and Hampton Inn. By now all applicants for promotion have gotten in their paperwork to Association headquarters and are hard at work on their presentations. 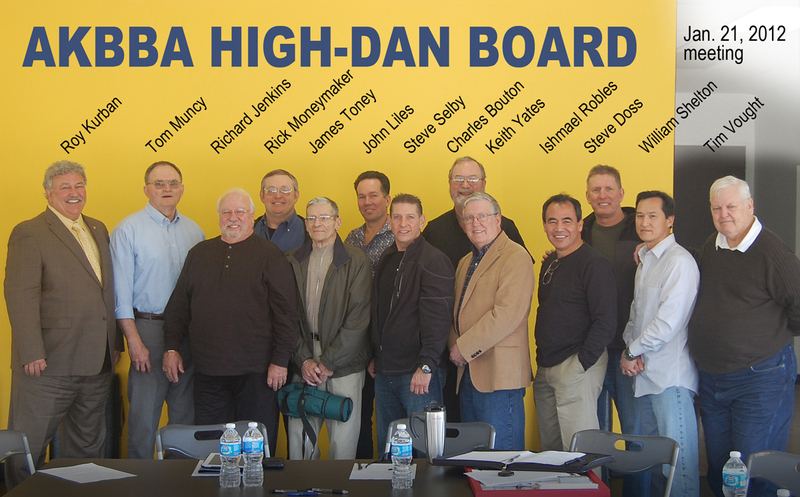 Most of the High-Dan Board of the AKBBA/CSHK will be present as will several special guests including Texas karate legends Allen R. Steen and J. Pat Burleson. Mark your calendar now so you can attend this once-a-year event and don’t forget to be ready to compete at the U.S. Championships on June 23. After our High-Dan Board Meeting on January 21, hundreds gathered at Steve Selby’s Dallas Martial Arts Academy to honor our retiring HDB members, James Toney (Chairman), Royce Young (Vice Chairman), Richard Jenkins and Tim Vought. Three of the original founders of the association were present to add their thanks. Allen Steen, Pat Burleson and Ed Daniel joined the current High-Dan Board in the activities. Chairman Keith Yates and Executive Director Charles Bouton presented plaques to the honorees and several members of the crowd shared their memories of the four gentlemen. 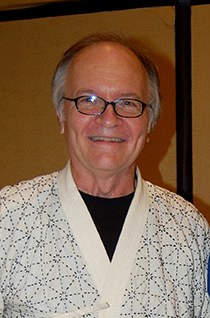 In additional GM Yates made “Karate Master Hall of Fame” induction presentations to Mr.s Young, Vought and Jenkins (Mr. Toney was previously inducted). Of course plaques and paper certificates cannot adequately express our appreciation to these outstanding martial artists who have served so diligently for so many years on the board of the AKBBA. 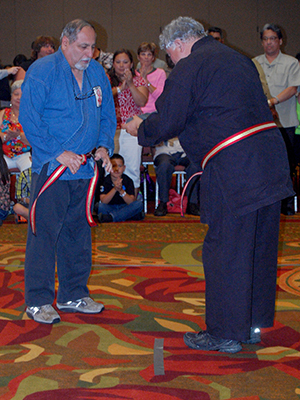 Go to the gallery page to see photos of this historic event in the life of the American Karate Black Belt Association/Chin Sook Hage Kwan.